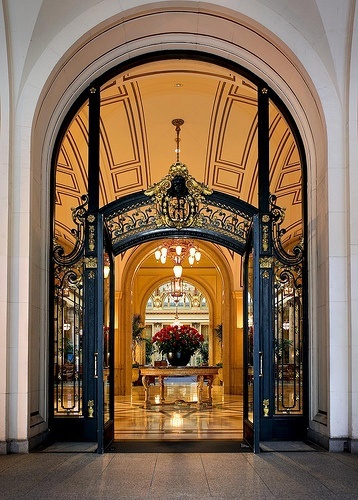 The entrance to any luxury house is the first opportunity to make an impactful impression. 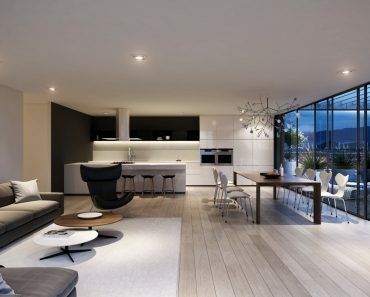 The front door is the introduction to the home and must be considered as a key aspect in the design of the home. We love the anticipation of opening truly luxurious front doors who’s style intrigues and hints of the luxury that might be found within. The circular stairs and fountain that lead up to this doorway are almost not even noticed due to the artistic luxury of the doors themselves. This entrance way is constructed with maple wood, glass and metal for an appealing pattern and a welcoming feel. 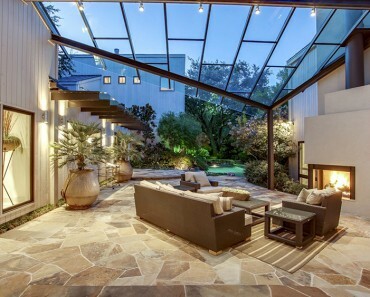 The glass does not allow for any privacy but in this gated property the privacy is enforced at the propert line. This metal door with the round top and molded cement trim is a modern spin on the old style homes of Spain. The metal is hand worked to create the intricate patterns that provide security as will as beauty and style. 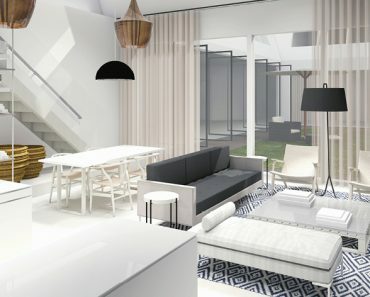 This tall front doorway is surrounded by glass and metal for a unique look suitable only for very high end luxury homes. 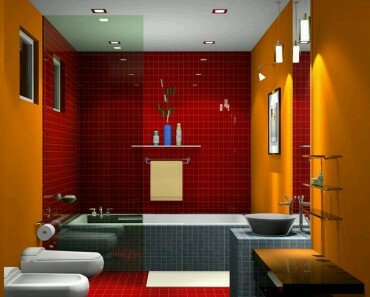 This example is from a multi million dollar estate in one of the highest cost areas in Southern California. The door was specially designed for the family estate and is adorned with the family crest in the center above the double doors. 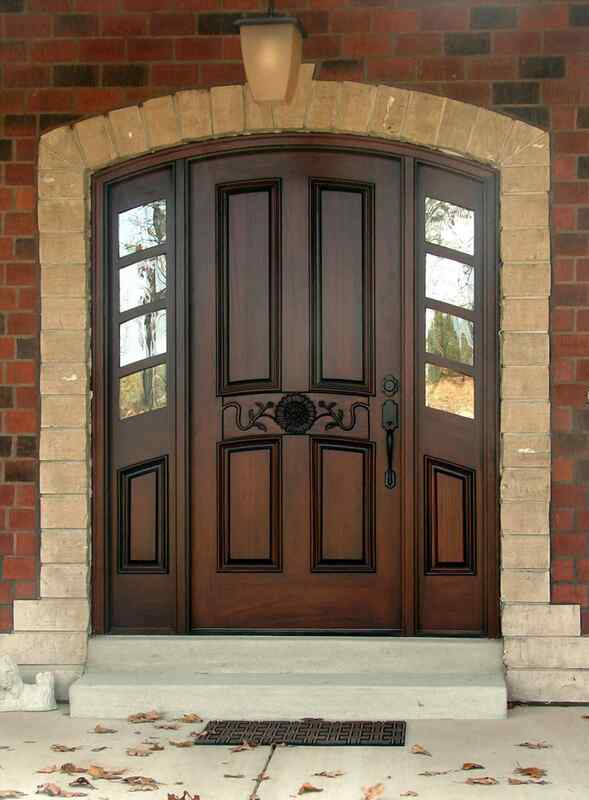 This door is made of amazing rich cherry wood and is as solid as any security minded homeowner could want. 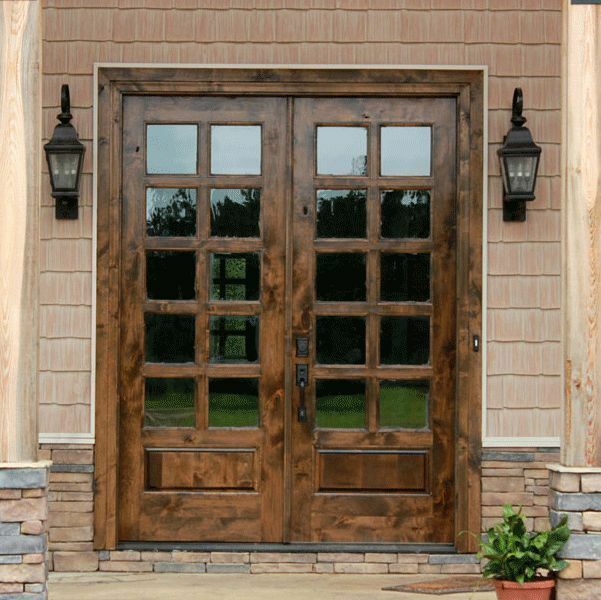 We love the solid look and feel of hardwood entrance doors. 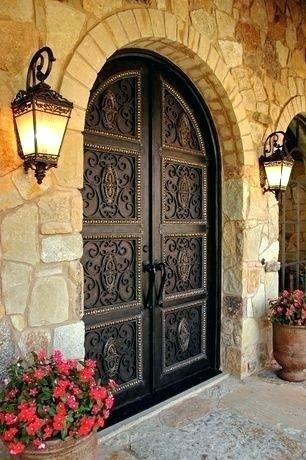 the carved flowers with the classic metal hardware make this door style one of our favorites. The classic style of these double solid wood doors is enhanced by the white trim and white pillars. The narrow side windows give this classic style a more modern look. You can almost feel the weight of the doors before you even approach this masterful entryway. 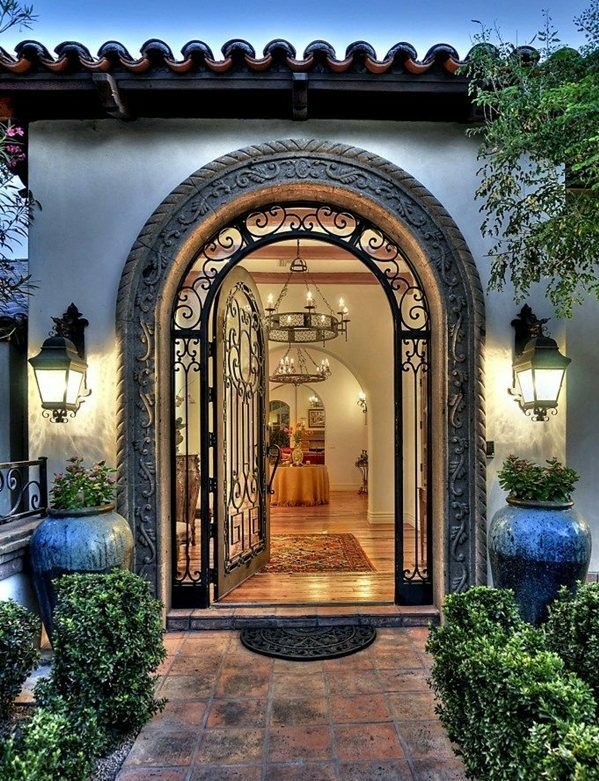 The Spanish flair in these carved wooden double doors in unmistakable. The large lantern lighting on each side of this entryway and the red flowers make you wonder about the luxury that you will find within. If you like a more rustic style then you will love these Amish made double doors. These simple doors are heavy and well built in a way that you can only find in hand made Amish furniture. 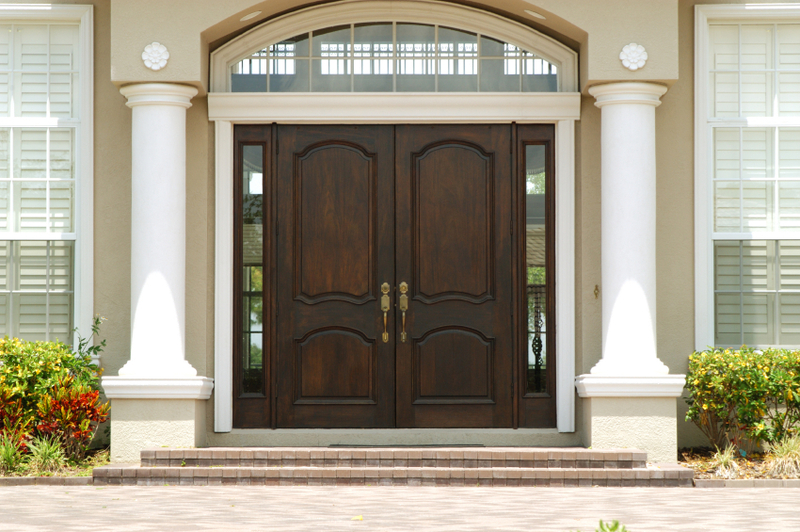 These are some of our favorite entrance ways and door styles. 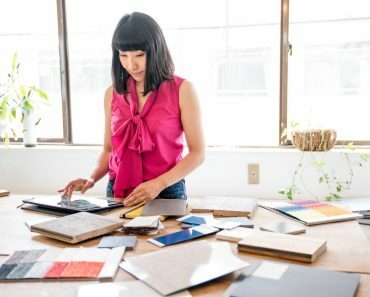 Please comment to let us know what you think. 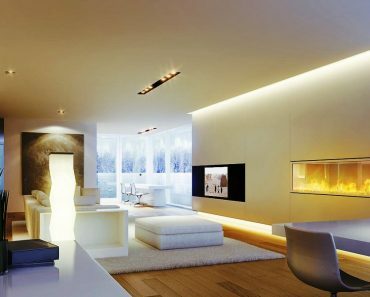 If you are searching for the perfect entrance way style for your luxury home then you may want to use some of these ideas for inspiration.